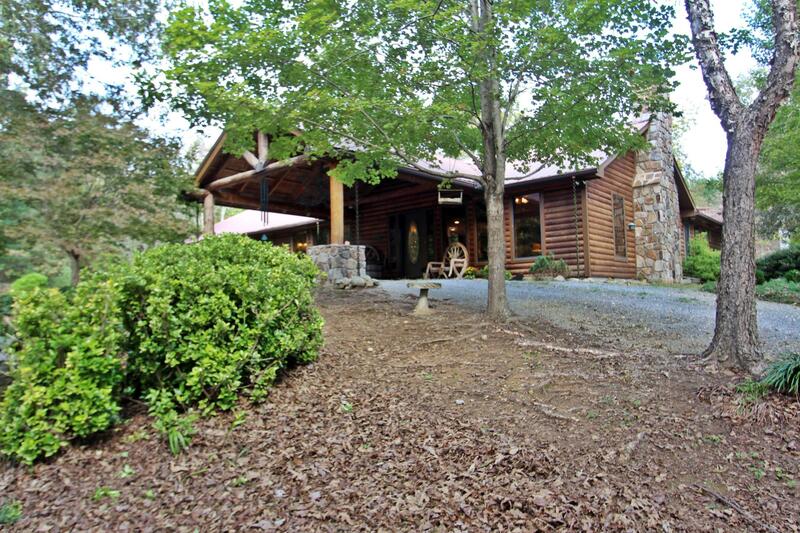 Lodge Style Cabin with 5+acres & pond in Mentone. You are welcomed to the cabin through a vaulted log portico with twig chandelier. Designed for ease of living this one level open plan has a commanding stone fireplace & hearth, expansive cooks kitchen, wide doors & separate dining area . The Master Suite includes seating area, room sized walk in closet with laundry & safe room access. The Master bath is loaded with storage as well as a walk in tile shower, jacuzzi tub & double sinks. A second bedroom , pantry and bath are found on the way to the attached 2 car garage & large covered grilling porch. A new detached 30x40 shop w tall 12' & 14' doors. Set in beautiful landscaping the home and stocked pond are a haven for birds & wildlife. Priced $349, 900. Come see this one today.